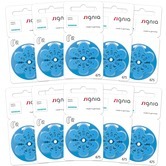 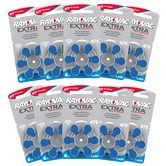 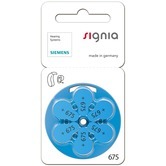 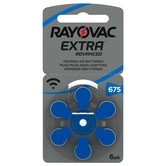 Connevans supply size 675 (blue tabbed) zinc air hearing aid batteries from a range of brands - Rayovac, PowerOne, Duracell & Signia (Siemens). 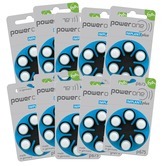 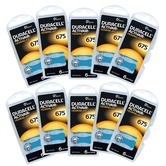 Individual packs of 6 or boxes of 10 packs of 6 batteries. 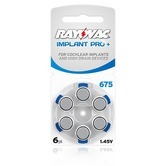 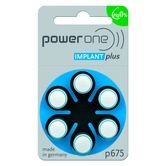 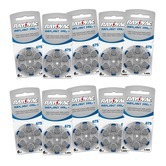 Pack of six 675 size - Rayovac Cochlear cochlear implant processor/hearing aid batteries.